Google’s Waymo is, according to people who know these things, the frontrunner in the race to develop self-driving cars that actually work, even if they still have trouble with basic tasks. 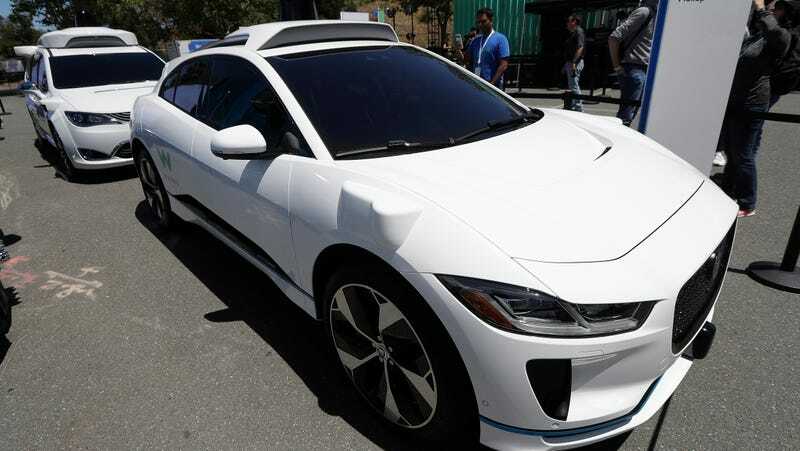 Jaguar and Fiat Chrysler have previously announced deals with Waymo, but on Tuesday Bloomberg reported that Waymo was in talks to add Nissan, Renault, and Mitsubishi to that list. That would be a big deal! And an interesting development for an alliance that recently whacked its former leader, Carlos Ghosn. Waymo has been on the hunt for a big automaker to partner with for a few years now, and it makes sense, on paper, since making cars is hard and doing it all from scratch, like Tesla has basically done, is even harder, and Waymo has long said it has no plans to make a car of its own. The full details of what this potential partnership will look like aren’t clear yet, but the companies will probably be sharing technology and intellectual property while some combination of Nissan, Renault or Mitsubishi makes Waymo cars. It also would be an interesting way to spin the news back in Nissan-Renault-Mitsubishi’s favor following the Ghosn debacle. All of which means we can imagine, for a minute, a day when Mitsubishi will be one of the first out of the gate manufacturing a driverless taxi. I somehow don’t think this will actually happen, but we can dream.